The new ulips lock-in period lasts a minimum of 5 years (single premium policies are not included). This means that short-term benefit seekers will probably need to look out for other opportunities, since ulips are long-term oriented, allowing the funds to multiply and grow. But what happens if a person decides to surrender the policy before the 5-year period is over? The funds are simply moved into the policy discontinuance fund (of course, this happens after deducting the surrender charges). The surrender value is only paid after 5 years, not before. When the investment plan period of 5 years is reached, you can expect to encounter a net reduction in yield. This will be a maximum of 3% (2.25% for policies that have a longer term than 10 years). Here’s another benefit: if the holder of the policy decides to surrender it after a 10-year period, there will be charges; however, these will be rather minimal (only 2.25%). The purpose of this is to ensure a good long-term value of payout for the customers. At age below 45 years, the minimum sum assured multiple equals 10x. In the opposite scenario, it equals 7x. Please bear in mind that the sum assured cannot be less than 105% of the total premium (top ups included). 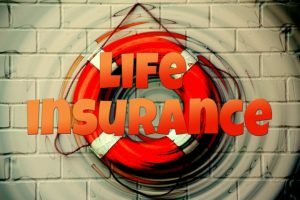 The benefit of this is that the cover available gets extended – even if the policyholder is no longer there, the beneficiary will get a decent sum regardless. IRDA has introduced some changes to how surrender charges are handled. From the point of introducing their changes, there is now a cap on surrender charges, also referred to as a policy discontinuance charge. This grants the insurance providers the possibility of charging a small fee if the customers decide to surrender the policy at an earlier date. Moreover, this introduces a benefit for the customer – even in case of pressing financial matters where early policy surrender is imminent, the customer won’t be punished too severely. In concrete terms, there is no option of partial withdrawals on linked pension products. Upon reaching the maturity point, one third of it can be taken as lump sum, but the rest must be used for buying annuities. The benefit of this is ensuring that the larger portion of the funds get used for the intended purpose, which is retirement planning, rather than other goals. By realizing these changes and the new state of things, you’ll be able to make a better financial decision and pick an insurance plan that best suits your needs and the circumstances you’re dealing with in life. As a final pointer, make sure to double-check these guidelines are valid for the insurance laws currently in effect in your country.